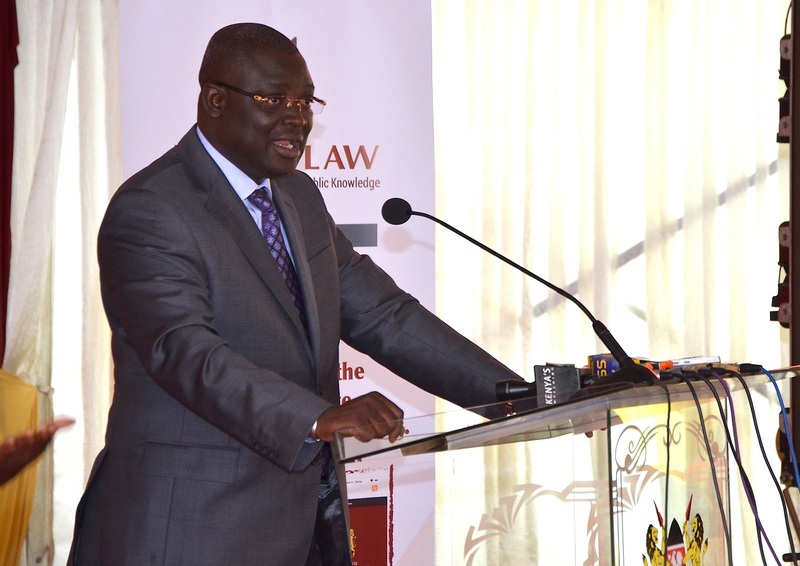 I am honored to have been invited here today to attend the official launch of the National Council for Law Reporting-Kenya Law Brand. This event marks a remarkable achievement for an organization which has distinguished itself on the continent-and globally in its provision of quality, comprehensive, timely and accessible legal information. We saw in the Council’s value statement a focus on altruism and well-being as well as a commitment to innovation that resonated well with the mission of our own organization. The Rockefeller Foundation was founded in 1913, with a mission to improve the well-being of humanity. Through the Foundation’s dual goals of Inclusive Economies and Building Resilience, we have a long history of work and partnerships in Africa that has focused on improving the lives of poor and vulnerable people. In May of last year, the Foundation launched the Digital Jobs Africa initiative. The initiative seeks to impact one million lives in 6 African countries by connecting high potential but disadvantaged youth to jobs in the Digital Economy. Expanding of access and of the Kenya Gazette’s to a wider audience than would otherwise have had this access. These records, previously only available in paper form for a fee can now be accessed online to a local and global readership in a format which is also accessible to persons with visual disabilities. Providing employment to high potential but disadvantaged youth who would otherwise have had limited access to employment. As a result of the partnership with Digital Divide Data Kenya, 50 talented young Kenyans were hired to carry out the task of digitization the records, earning an income and gaining skills and work experience that has transformed their lives. Demonstration of the viability-and suitability of Impact Sourcing for government digitization work. This work did not require any new rules or special provisions-rather by relying on existing legislation and the desire to achieve impact at multiple levels this project has proven that Impact Sourcing can deliver on cost, quality, efficiency and social impact. This project has created a replicable model that can be used across judicial and indeed all government institutions to advance the twin goals of organizational efficiency and job creation for the country’s youth. We would like to commend the Council and the judicial sector as a whole for being pioneers in this effort and leading the way where we trust others will follow. We call upon others to join them in incorporating Impact Sourcing in the exercise of their mandate.